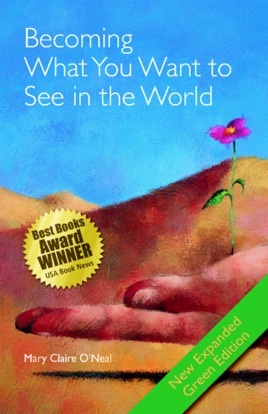 Becoming What You Want to See in the World provides tools and techniques for practical approaches to leading a more fulfilled, balanced and meaningful life regardless of the reader’s personal circumstances or economic restrictions. This user-friendly handbook for change has won three national awards and contains accessible, effective ways you can "become the change you wish to see in the world." Arun Gandhi, grandson of Mahatma Gandhi, says of Becoming What You Want to See in the World, "This book could not have come at a more opportune time. A ray of hope amid chaos . . . "